Many residents and business owners in Atlanta avoid hiring a maid service because they worry it will take too much time or will be too expensive. CEO Maids changes this as they have made their booking system one of the most straightforward in the industry. You can now book a professional to come to your office for a regular commercial cleaning service or schedule a one-time house cleaning and it will only take you 5 minutes. In addition to being easy to book, they offer amazingly affordable prices. The team at The Welcome Home Company is passionate about keeping your living area comfortable and inviting so you can really enjoy the space to the fullest. 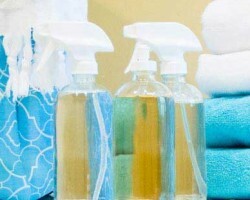 This maid service in Atlanta, GA uses only green products and the greenest practices in all of their work. 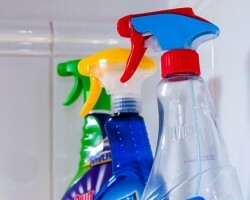 This helps them to achieve a satisfactory clean without using chemicals that may be harmful to you or the environment. With organization to ensure no surface or room is missed, you will always be totally satisfied with the results. When you need a reliable and affordable housekeeper in Atlanta, Mister Mom LLC is always there to accommodate. Since 1981, this has been the go to office cleaning service and house cleaning company in Georgia. With a list of what the cleaners will do for each room, you can be sure that each space will be examined and cleaned with great detail. You can call this team and schedule assistance at a time that best suits you and the lifestyle of your family. Elite Deep Cleaners, LLC is unique in that this service offers more intensive cleaner for the spaces that get used the most. You can call this team to come and give your commercial kitchen a deep clan or hire them for post construction cleaning. In either case, they will work around your schedule and provide their assistance for relatively cheap rates too. Reviews of the technicians and this combination rave about these Atlanta cleaning services and so will you when you hire them for your next big cleaning job. Absolutely Clean is a local house cleaning service that is dedicated to cleaning your home in a way that leaves you totally satisfied. 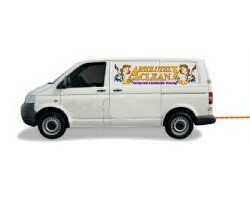 When you hire this company for regular work, you will always have the same cleaners come. They will arrive promptly with all of the necessary supplies and will always be scheduled to come at a time that is best for you. After a personalized consultation to determine your needs, you will have custom cleanings whenever you need them.